On Thursday, 7 February, the fire alarm system of our building will be tested. This means that there will be some minor noise nuisance, which will be announced beforehand. You will NOT have to leave the building during the test. The KFG welcomes two new Senior Research Fellows: Ebrahim Towfigh (Science and Culture University, Tehran) does research on “Westoxification as an Ideology of Patrimonial Rule”. Sven Bretfeld (Norwegian University of Science and Technology, Trondheim) works on his project “Responsible for religion and the world. A genealogy of the secularity discourse in Sri Lanka.” Both will stay with us until the end of July 2019. We would like to draw your attention to the annual conference of the German Association for Religious Studies (DVRW) again. 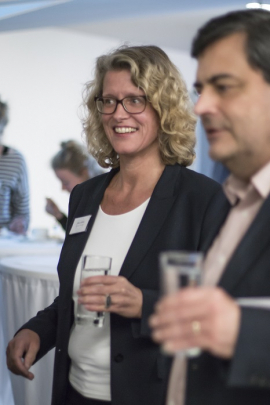 The conference will be held at Hannover University from 3-6 September 2019 and deals with “Conceptualising Religion.” There will be open as well as closed panels and roundtable sessions. Deadline for the open panel sessions is 15 February, please check the other deadlines here. On 13 February, the Grassi Museum Leipzig will show the documentary “Mr. 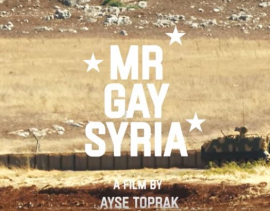 Gay Syria” by Ayse Toprak (2017) at 7 pm. It tells the story of two homosexual Syrians who try to rebuild their lives abroad. On the same day the Confucius Institute Leipzig will show the documentary “Lady of the Harbour 芳舟” by Sean Wang (2017), also at 7 pm. Suzanne is a Chinese immigrant who sought refuge in Greece. Years later Syrian refugees take the same route as she did. It shows an unrelenting woman and her quest to help those in dire need. The Screening is followed by a talk with director Sean Wang.